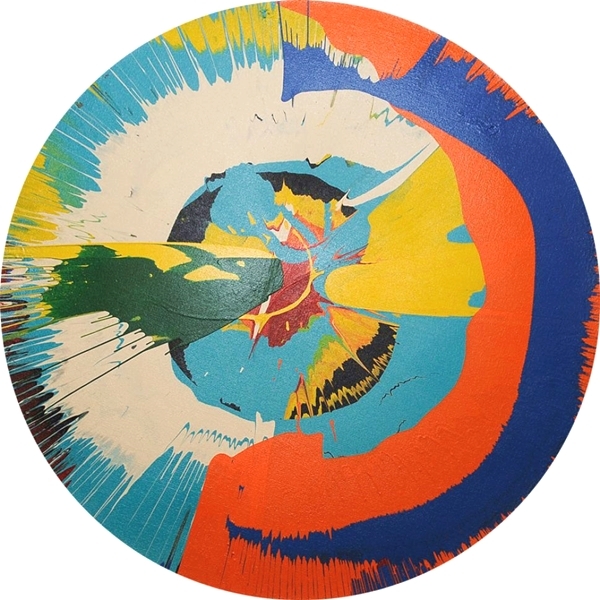 A fake Damien Hirst spin painting that pastor Kevin Sutherland allegedly tried to pass off as authentic. Courtesy Manhattan District Attorney’s Office, via NY Daily News. Florida pastor Kevin Sutherland, convicted in April of knowingly selling forged Damien Hirst paintings, will serve a six-month sentence behind bars, reports the New York Times. As artnet News reported last month, Sutherland was found guilty for attempting to peddle a fake painting by the British artist to an undercover police officer. The charge was for second-degree attempted grand larceny. Sutherland was caught up in a larger case against Vincent Lopreto, who operated a Hirst forgery ring though online auction site eBay. The pastor, who began dabbling in art dealing in 2010, became an unwitting accomplice to the scheme when he began snapping up the ersatz Hirsts and flipping them. Have a look at some real Damien Hirst works here.